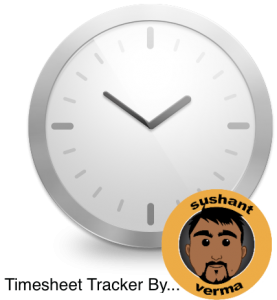 This entry was posted in Timesheet Tracker and tagged Cocoa, CSE, ObjectiveC, Prezi, sushant, Timesheet Tracker, UNSW by Sushant Verma. Bookmark the permalink. Hmm… seems ive gotten lazy.. dont think im going to make changes unless people ask for them… Anyone using this?